"A female investigator every bit as brainy and battle-hardened as Lisbeth Salander." 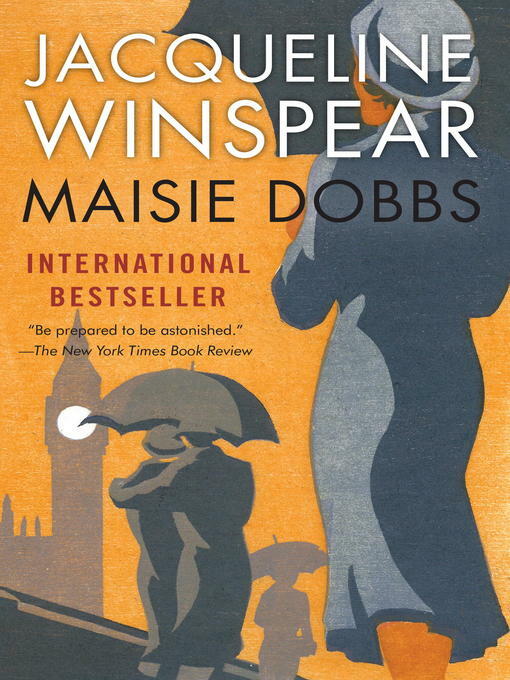 Maisie Dobbs got her start as a maid in an aristocratic London household when she was thirteen. Her employer, suffragette Lady Rowan Compton, soon became her patron, taking the remarkably bright youngster under her wing. Lady Rowan's friend, Maurice Blanche, often retained as an investigator by the European elite, recognized Maisie's intuitive gifts and helped her earn admission to the prestigious Girton College in Cambridge, where Maisie planned to complete her education. The outbreak of war changed everything. Maisie trained as a nurse, then left for France to serve at the Front, where she found—and lost—an important part of herself. Ten years after the Armistice, in the spring of 1929, Maisie sets out on her own as a private investigator, one who has learned that coincidences are meaningful, and truth elusive. Her very first case involves suspected infidelity but reveals something very different. In the aftermath of the Great War, a former officer has founded a working farm known as The Retreat, that acts as a convalescent refuge for ex-soldiers too shattered to resume normal life. When Fate brings Maisie a second case involving The Retreat, she must finally confront the ghost that has haunted her for over a decade.